Amazingly delicious Macaroni and Cheese made in your pressure cooker completely from scratch with NO velveeta in 20 minutes. I’m here to tell you that YES! It can be done! 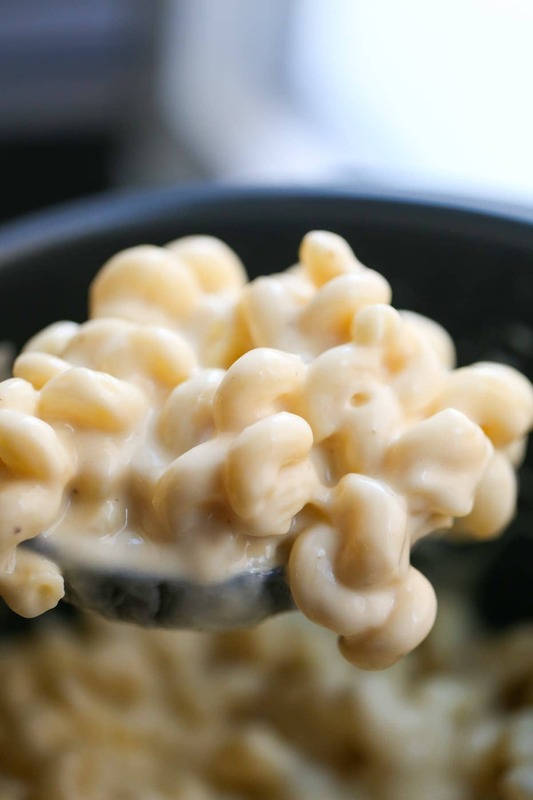 You can make jaw dropping, amazingly delicious macaroni and cheese in your pressure cooker completely from scratch with NO velveeta in 20 minutes or less. 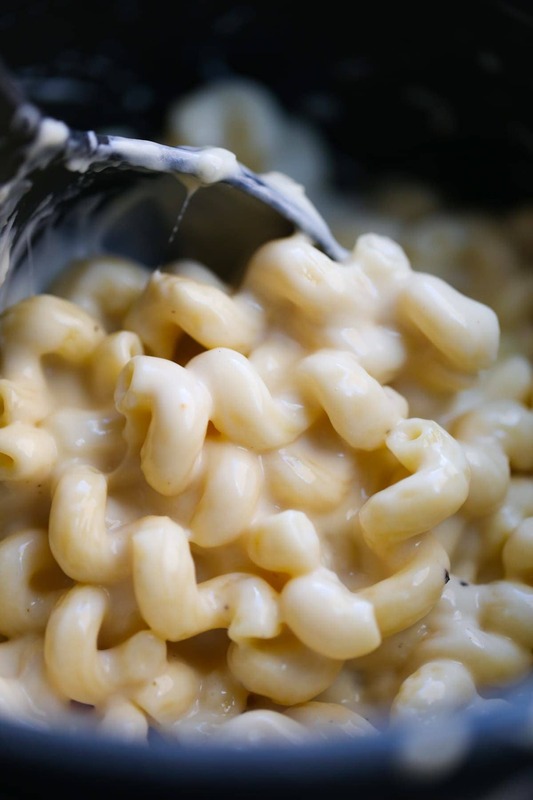 I read some reviews of some other pressure cooker macaroni and cheeses and all of them had great results, but I wasn’t confident I would like it as much as a stovetop version, but lemmetellyou, I like it better! It’s not only faster (as I’ve mentioned how many times already?) but its so creamy and is the perfect recipe for a novice chef. No need to even know what a roux is to have success. Just pick out some good melting cheeses and you’re good to go. Place pasta and cold water (or chicken broth) into pressure cooker. Do your best to create an even layer of pasta so its all mostly submerged. Add pressure cooker lid, lock into place, seal valve and cook 5 minutes under high pressure on "Beans/Chili" mode. While pasta is cooking, mix butter and flour together to create a paste. Quick release pressure once cooking cycle has completed and remove lid. Switch to Brown/Saute function. Pour in evaporated milk and the butter/flour mixture. Continuously stir until sauce thickens. Stir in nutmeg, taste and adjust seasonings as desired. Serve immediately. I used a combination of grated white cheddar, gruyere and parmesan cheeses that I bought in blocks (by weight) and grated myself. You'll want to select and use 12 oz. of easily meltable cheeses for a smooth and creamy macaroni and cheese, and 4 oz of other, more flavored cheeses for best results. There’s nothing wrong with Velveeta. For that matter there’s nothing wrong with sliced American cheese. I got over my cheese snobbery long ago. Oh, my, that looks perfect! I don’t have a pressure cooker. Do you think it could be done on the stove? I am putting this on my menu for next week. 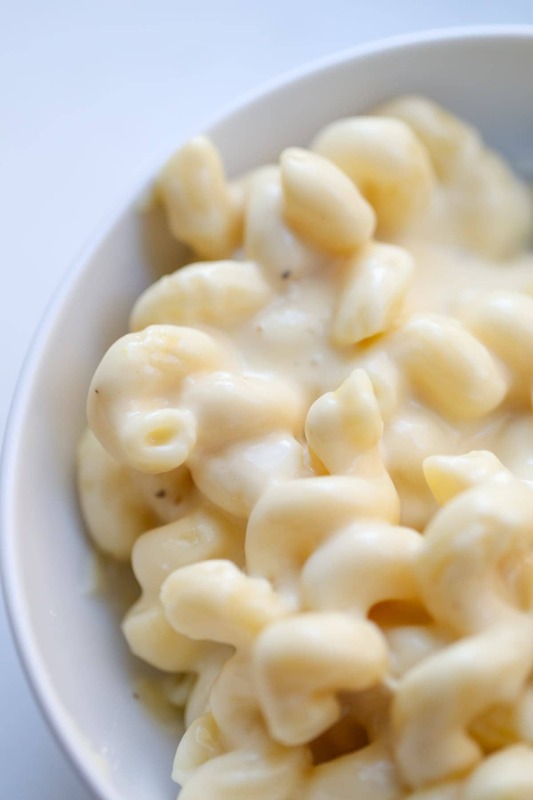 I have a really great mac and cheese recipe but this one looks easier and way creamier. Every time I have macaroni at a restaurant, I always complain to my husband that it is too gritty because they don’t use evaporated milk. 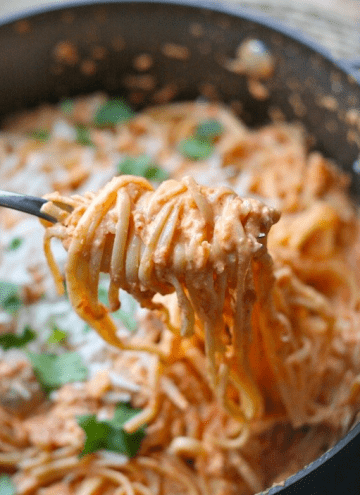 I’m soooo excited to see a pressure cooker recipe that uses it – evaporated milk is the only way to go! I love mac and cheese, but not baked mac and cheese. This looks soooo good, I’m def going to have to try this one! 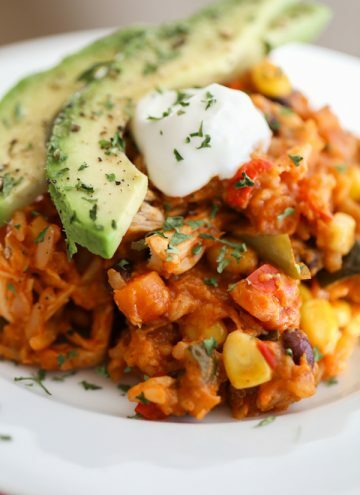 This looks like it would be a fantastic recipe to be the first thing I make — drumroll, please — in my new Instant Pot! I can’t wait to try this recipe!! My family loves mac & cheese & I love when I can make it quickly & from scratch!! I can’t wait to try this recipe! My girls love mac and cheese but didn’t like the recipe I tried in the instant pot. This one looks great! Do you think you could double this in a 6 quart instapot? We really enjoyed this meal, but I halved the recipe and there was more than enough for four of us. My youngest complained that it was too cheesy (is that ever such a thing? ), so next time I’ll cut back some of the cheese and save some calories too. My 8 year old son has never really been a fan of mac & cheese. However, after an 11 day Disney vacation, he became absolutely obsessed with their mac & cheese claiming the cheesy sauce was what made it so delicious. This recipe looked pretty similar (and potentially easy to adjust for more cheesiness if needed) and it is a hit with both boys!! 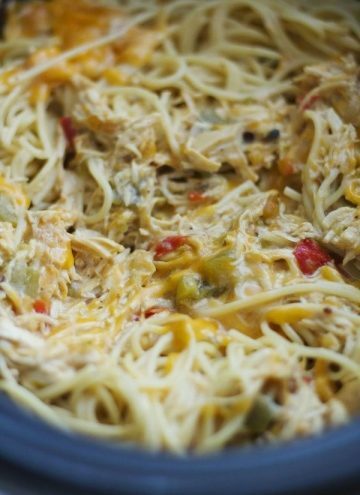 I don’t like the taste of velveeta and am so glad to have found this recipe that makes a creamy sauce without it. Thank you! I finally broke down and got the instant pot you recommended so now I need to try this and other recipes you’ve shared!! I think my girls, Lauren and Kate, will love this one for sure! will totally be making this soon! 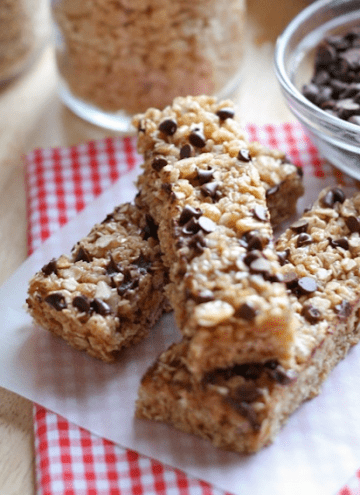 The whole family loved this and it is so easy! I love being able to fix an easy mac and cheese for the grandkids without having to resort to the blue box. Best Mac and cheese ever and so easy and quick in the instapot! 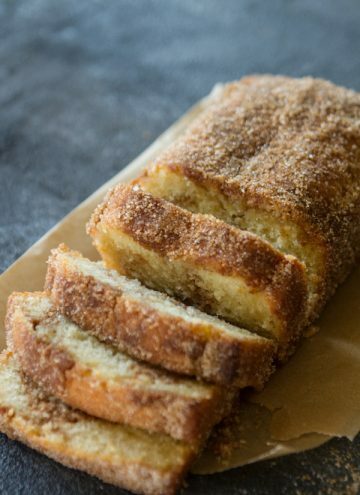 One of my favorite Lauren recipes!